Joe Andruzzi played 10 seasons in the NFL with the Green Bay Packers, New England Patriots, and Cleveland Browns, and one season with the Scottish Claymores in NFL Europe. While with the Patriots, he earned three Super Bowl rings. Andruzzi and his wife launched the C.J. Buckley Brain Cancer Research Fund at the Boston Children’s Hospital in 2001 after developing a close friendship with C.J. and his family. 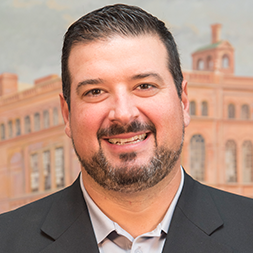 In 2007, Andruzzi was diagnosed with non-Hodgkins lymphoma, and after several months of aggressive chemotherapy and recovery, he was declared cancer-free. In 2008, he formed the Joe Andruzzi Foundation to provide support for cancer patients and their families. He currently serves as executive director of the foundation.